This is the shortest review I’ve ever written. Sit up straight and pay attention. I had always believed that “The Blue Lagoon” was the worst movie I’ve ever seen in my life. Then I saw CURSED. If you see stacks of CURSED DVDs in the $2 bargain bin at Wal-Mart or Target, trust me that they are there for a reason. CURSED is without a doubt one of the overall worst movies I have ever seen to date. 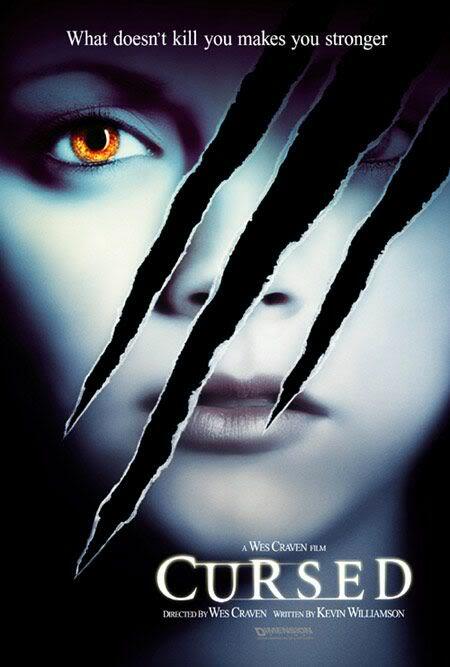 That Wes Craven has his name on it totally baffles me because Wes Craven knows how to make a horror movie and this piece of utter trash barely qualifies. CURSED is not even worth seeing for Christina Ricci who looks absolutely gorgeous and she turns in the best acting job she can do along with Joshua Jackson. The both of them do the best they can with what they’ve got. The only reason why I can think they participated in CURSED is because of contractual obligations or they had mortgage payments due and needed the paycheck. I can respect them for that. You’ve been warned. I take no responsibility if you decide to disregard my warning so it’s on you. I wasted an hour and 30 minutes of my life I’ll never get back so you don’t have to. Even if you get a chance to see it for free do not watch CURSED. It’s not even a good bad movie. Its total trash and a waste of your time. I’m gonna say it one more time. Do not watch CURSED.